In this day and age, there are numerous alternative health remedies available that you can take instead of conventional medicine. The waves come and go, and companies closely follow to keep up with what’s trending. The latest fad to hit the natural remedy shelves is CBD oil. The more research that gets done, the more apparent the benefits are for a number of different issues including back pain and anxiety. However, what this also means is that there are many companies out there who aren’t trustworthy. Let’s give one a review and determine whether they are. Cibdex is a company that started with an interest not only in CBD oil but how they could make it convenient for the everyday user. While there are a number of ways you can take CBD oil, not all of them are pleasant and convenient. The ultimate company is someone who makes a high-quality product and sells it in ways that make it incredibly easy to consume. Finding this combination is harder than you think. Cibdex’s hemp oil supplements range in price from as little as $35 to as much as $160. All of their products are to be taken orally, and they range from flavored tinctures to convenient pills which makes taking your daily dose of CBD easy. Cibdex, like Cibaderm, falls under the umbrella of Hemp Meds and Cannavest. This means that their products are widely available both online and in stores – most dispensaries will have a stock of what they make. If you’ve already done a bit of research on CBD oil, you’ll know that it has powerful antioxidants and anti-inflammatories which can help with a myriad of health issues. Cibdex has taken advantage of these claims and say themselves that their CBD products are the natural choice to take every day, therefore encouraging you as the consumer to be taking their products on a daily basis. It’s a smart bit of marketing that most likely helps them to sell more of their CBD line. If you’re thinking of trying out a company like Cibdex, you may want to think about reading the ingredients properly first. This is because they put additives into their substance, and because these are artificial you could run the risk of being allergic to them. Some of these ingredients you could be sensitive to are potassium sorbate, lecithin or vegetable glycerin. One of the most significant issues we have with a company like Cibdex is that their umbrella organizations don’t publish any product information or lab testing to back up their health claims. This means that it is virtually impossible for us or you to know precisely where their CBD oil was sourced from and how pure the quality is. Therefore, you have no way of knowing whether it’s safe for you to take – especially if you’re going to be taking it every day. One last point we’d like to make in regards to Cibdex, and that is this. Once upon a time, it was an innovative, successful CBD oil company at the height of its industry. However, that was quite a while ago now, which means that they’ve now been taken over by other CBD oil companies. What’s more, they haven’t bothered to publish any further or current information about their products, let alone make anything that’s new. For these reasons, we find it difficult to recommend them as your go-to CBD oil company. I’d say that Cibdex products are quite overpriced for something that you’re supposed to be taking on a daily basis. Quality wise I have found them to be not any different from other popular and much cheaper brands. They may market their products all they want but I’m not buying it. 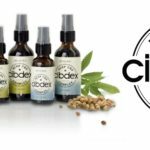 I’ve ordered some Cibdex cbd oils online two or three times. I tried out different products like tinctures and capsules, etc. I’ll have to say that I didn’t like most of them. Especially the tinctures weren’t to my liking. They had a bad lingering aftertaste and seemed kinda stale. My mother purchased some cbd capsules from this brand for me and sadly I had to throw away the whole bottle as I just couldn’t tolerate them. Having read this article I suspect that I might have been allergic to some of the added ingredients in the capsules. It makes sense.